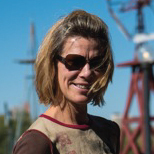 Susan Moran is a journalist who writes about environmental science, energy, agriculture and business. Her work has appeared in the New York Times, the Economist, Discover, Popular Science and other publications. She also co-hosts "How on Earth," a weekly science show on KGNU community radio in Colorado.